Simon & Schuster, 9781451645873, 304pp. 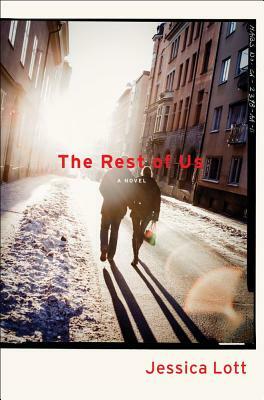 A smart literary debut, The Rest of Us is an indelible love story that explores the legacy of an affair between a young student and her older professor. Jessica Lott is the author of The Rest of Us and Osin, which won Low Fidelity Press’s Novella Award. She has an MA in creative writing from Boston University and an MA in English literature from Washington University in St. Louis. She writes for Art21, and her art reviews have appeared in Frieze and New York Arts. She lives in New York City. "Jessica Lott’s debut is a heartbreaking work of staggering insights written in admirably crystalline prose. An intelligently-rendered May-September story of love, longing, and obsession, The Rest of Us recalls both Philip Roth’s The Dying Animal and Chad Harbach’s The Art of Fielding, but with a compassion, a point of view, and an attention to detail that are all Lott’s own."